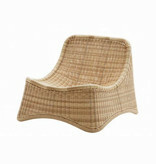 The beautiful rattan lounge chair Chill with footstool was designed in the late summer of 1961 by Nanna Ditzel. 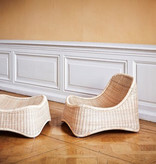 Chill is a sculptural piece that effortlessly integrates body with furniture. 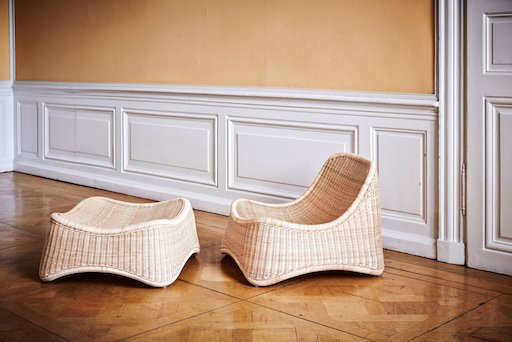 The lounge chair is designed for indoor use. 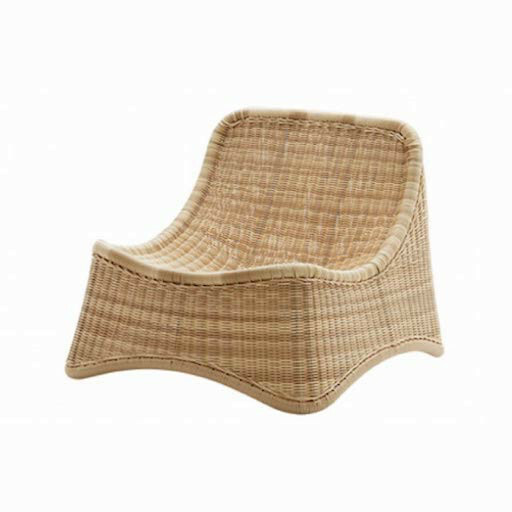 The chair along with the footstool ties an organic design language with minimalistic features and suggests indulgence and relaxation. The Exterior-collection is made from Alu-Rattan which consists of a strong aluminum frame woven with Artfibre. The material is maintenance free and can withstand all weather conditions. 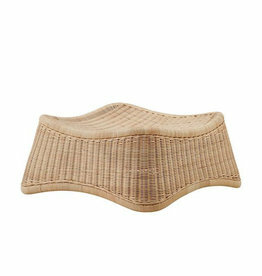 This means that original rattan models previously only suitable for interior use, now can be used in the garden, on the terrace or the balcony.